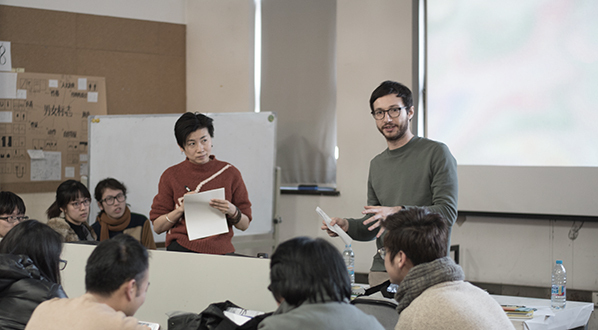 On January 19th 2018, Central Academy of Fine Arts in Beijing, the foremost art academy in China, invited Jacopo from our Beijing Office to judge the final presentations for a course on signage & wayfinding design. Divided into nine groups, the students presented their proposed designs for use in an international kindergarten. Jacopo noted the keen awareness of design trends and market demands the students demonstrated through their presentations, and emphasized the centrality of client deliverables in order to turn conceptual ideas into realistic design on the drawing board. The students had indeed delved deeply into the topic. 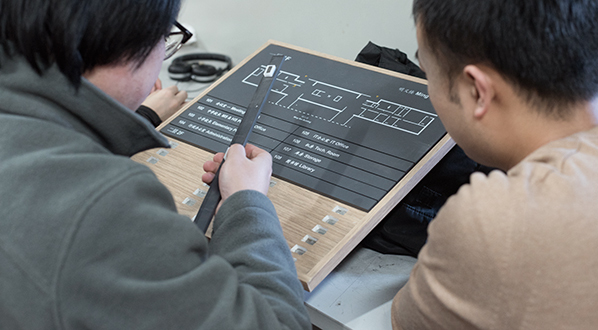 After giving the students insightful feedback on their presentations and design styles adopted, Jacopo showcased the signage system conceived by him for Daystar Academy’s Sanlitun and Beigao campuses. In addition to the useful examples illustrating the principles of signage design, Jacopo also shared details of project experiences and problems encountered during the process of delivery that helped him meet the client’s specific requirements.